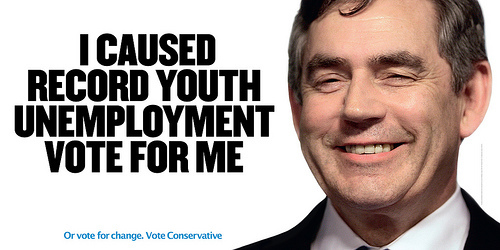 A new poster for the Conservative Party attacks Gordon Brown’s record on law and order. 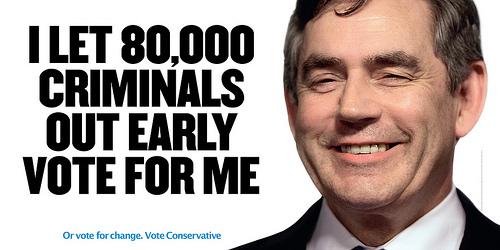 It suggests that 80, 000 criminals have been released early under Labour. It’s fairly blunt accusation; no word play, no insinuation, just an upfront allegation. 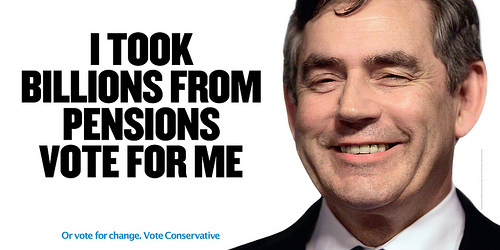 Fairly uninspiring, but gets the message across. 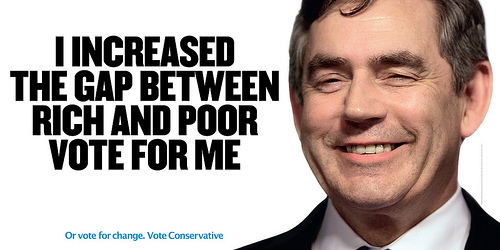 *** Update*** Just been sent the rest of the posters in this campaign. 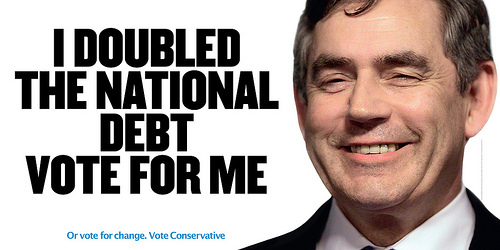 Taken as a whole, this is a fairly fierce attack on Gordon’s record. Undoubtedly the work of M&C Saatchi, whose advertising philosophy is ‘brutal simplicity’. I really dislike these posters. I think it’s out of order to pretend to be speaking on behalf of your opposition. Golden Wonder wouldn’t be allowed to do an advert all about how Walkers crisps are full of rat droppings or whatever – so why is this allowed? 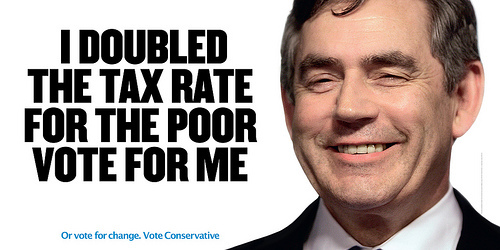 I think it’s a really nasty campaign.